A big Thank You to all who contributed to the Used clothes collection in June. Over 1500 euro was raised which will go towards the Brinny development fund. There will be a bring and buy cake sale in Innishannon School Hall on 26 May at 12.00. Come along and try some of the delicious treats on offer. As always your support of this fundraising event will be much appreciated. 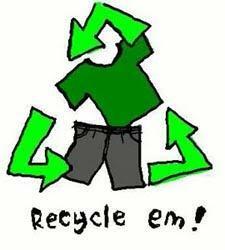 A used clothes recycling fundraiser in aid of the Brinny Development fund will be held in Brinny on Saturday 08 June. Please gather your used clothes, shoes, household textiles, stuffed toys and bed linen. All items should be clean. Duvets or pillows will not be collected. Bagpacking on 13 April 10am to 6pm. Volunteers needed. Contact any member of the committee.